As the whole world await the official installation of the Ooni-designate, Enitan Adeyeye Ogunwusi as the 51st Ooni of Ife, Ogun and Osun stated in South West Nigeria are to witness a spiritual overhaul of the entire system through the instrumentality of the man of God, Pastor William Folorunsho Kumuyi. 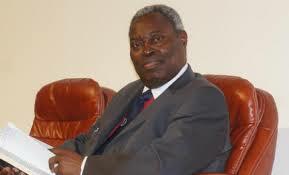 Pastor Kumuyi is billed to hold ground-breaking crusades across 12 communities of Ogun State which began on Wednesday through November 8 and commence another in Osun State from November 17. Briefing newsmen in Abeokuta recently, the Ogun State overseer of Deeper Life Bible Church, Pastor Edison Daminabo said no fewer than 50,000 rural dwellers were being expected at each gathering with free registration for all participants, noting that it was part of the church’s efforts at taking the gospel to the interior and subsequently win more souls into God’s kingdom. He said, “Our General Superintendent will be coming to Ogun State for the third time this year but his time around, he is coming to the grassroots. He has gone around 27 locations in Lagos. According to him the targeted areas include: Agbado, Oke-Aro, Ijoko, Ota, Atan, Ifo, Ilaro, Ijebu-Imushin, Ijebu-Ode, Ijebu-Igbo, Sagamu and Aiyetoro. Commenting on the state of the nation, the state superintendent opined that only God could rid the country of the menace of corruption, stressing that the ministry was trying its best at organising programmes that would mould the Nigerian youth towards becoming better citizens. “So many churches today don’t care about the word of God. But in our church, we don’t have sacred cows. I pity pastors who pamper these (corrupt) men, who normally bring money to them. A pastor that does that is not called of God. He is for money and that will destroy them,” the Ogun overseer stated. In a release signed by Mark Debo Taiwo on behalf of the Osun State overseer, Pastor John Biola Adeniran, stated that the Pastor Kumuyi, will tour the whole state to hold crusades in major towns and cities, that will offer life-enhancing opportunities to the people of the state. The crusade that has “Total liberation for total man” as its theme is being viewed in many circles as panacea to the myriad of problems and situations facing the people of the state at this material time, and it promises salvation, healings, breakthroughs and lots more to the participants in particular and Osun State in general. According to Pastor Adeniran, Pastor Kumuyi, anointed with signs and wonders, will kick start the crusade at St. John’s Anglican Grammar School, beside Police Station, Ikire on November 17, then he will be at Ipetu-Ijesa Grammar School, Ipetu-Ijesa the following evening. He will be at Deeper Life Camp Ground, Ejigbo, Oduduwa College, Ile Ife, Garage Olode, Ipetumodu, Ilesha, Ede, Ibokun, Ikirun, Ila-Orangun, Oke Ejigbo, Iwo and the state capital, Osogbo will play host to the grand finale of the crusade at the City Stadium, Ikirun Road on November 28 and 29.